Sun Rises on Martin Braun. own), and best of all, Martin is introducing four new models. collection is complete.” Let’s take a look at what’s new for 2002.
the Luminator, pictured on the right. 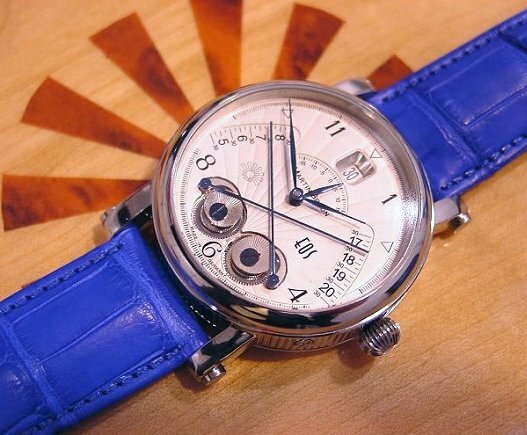 casual, but still a watch that will work well with business attire. features an arrow style second hand. 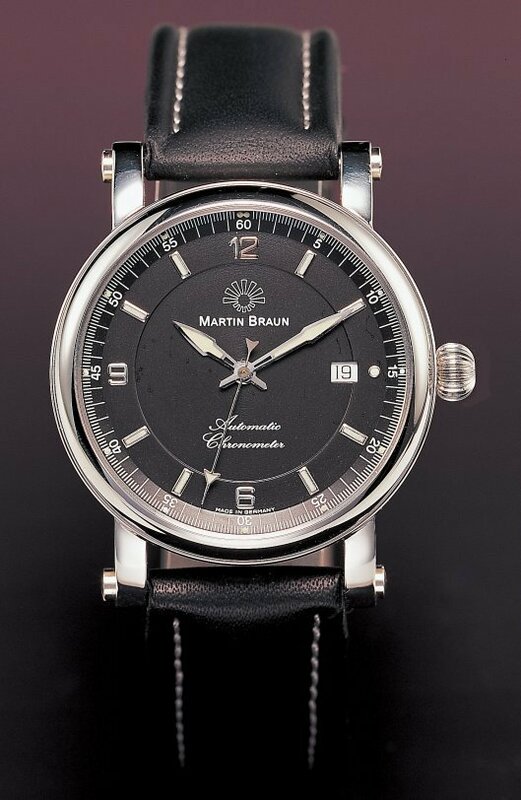 with black dial in stainless steel on strap, as shown. 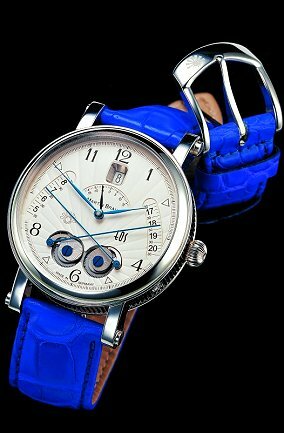 price will be $1575, and this watch will be available in June. 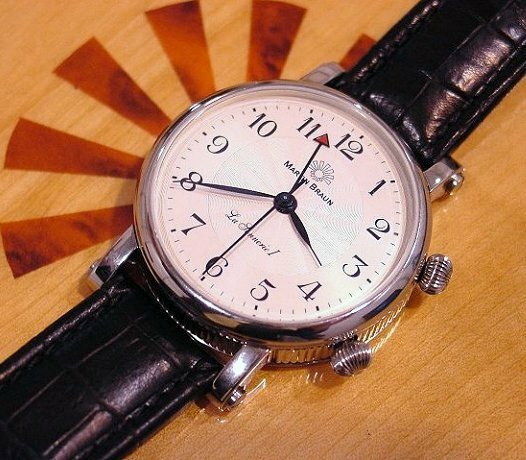 in diameter, and the dial is delicately guilloched with a wave design. The movement is based on an A.
the alarm hammer. This improves the alarm’s tone. chosen this name for his new Eos offspring. 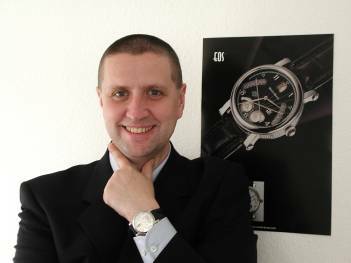 Equation of Time complication to the Eos sunrise-sunset complication. 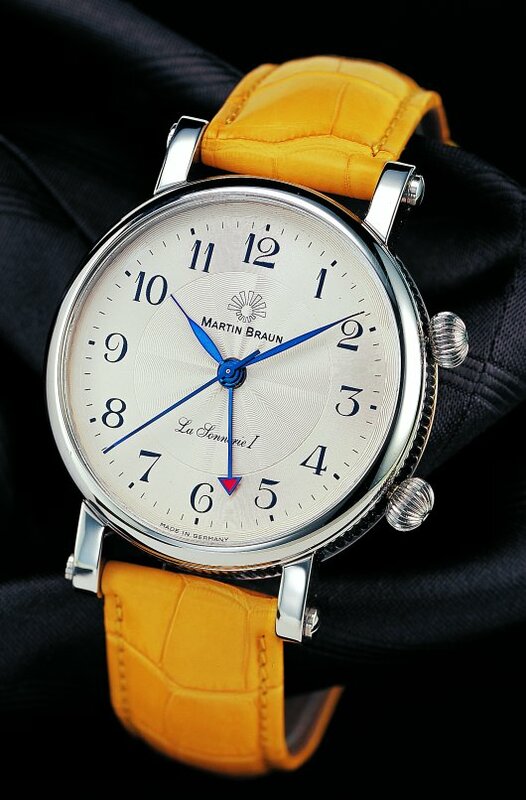 should begin in January, 2003.
in Martin’s booth, I spied a square watch of substantial proportions. released later this year, perhaps around September – a square Eos. prototype, it will be a striking watch. 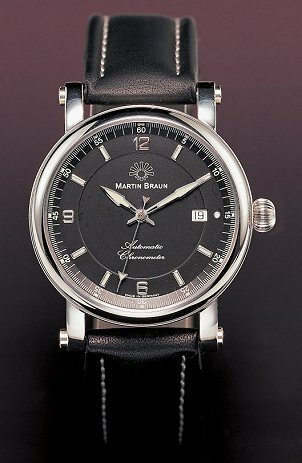 visit his website at www.martin-braun.com. of the Boreas and La Sonnerie against wood backgrounds by Michael Disher. 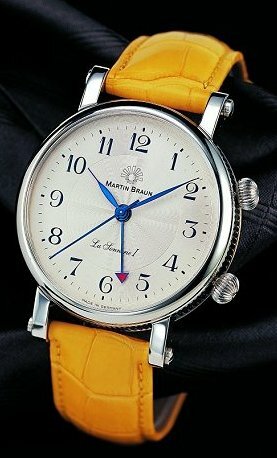 Martin Braun, used with permission.